The African elephant is one of Doug’s favorites of all animals in the world. 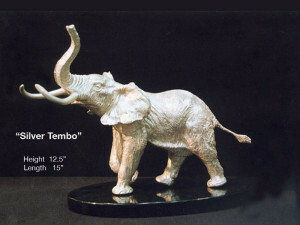 Tembo, its Swahili name, depicts an African bull elephant. This piece is cast in .999 fine silver.